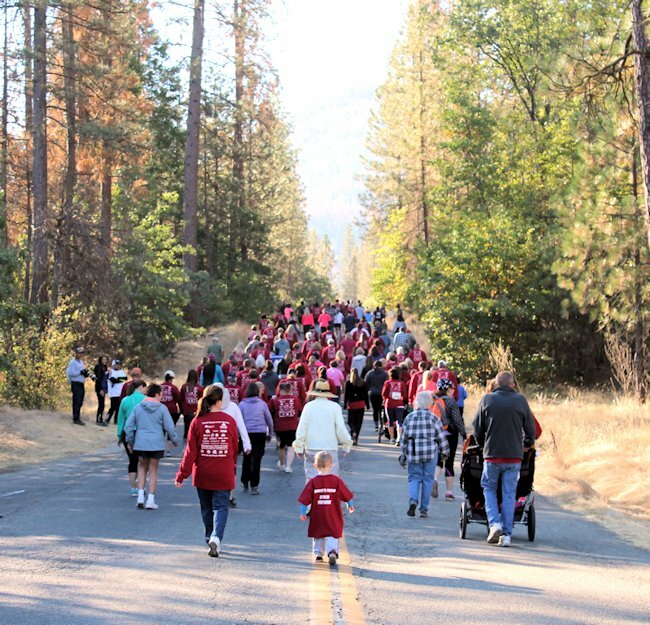 Please join us at beautiful Bass Lake, California on Saturday, September 21, 2019 for the Smokey Bear Run / Walk. This year's event proceeds will go back to our local community. We are celebrating the 32nd year of the race. Please come early, Road 222 will close 7:15 – 10:15 a.m. towards the Forks and Millers. If you must leave the race early (soccer season!) please park on the north end; this will allow you a means to exit prior to the road reopening. Photos taken are available for viewing and free download at Ploen Photo. one minute ahead of runners. Please note change in race times. 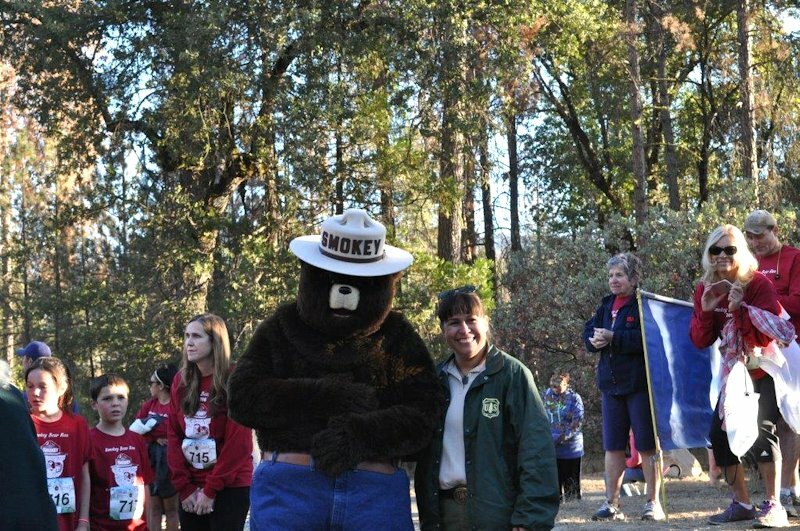 The 2018 Smokey Bear Run / Walk was a success! We want to thank all our sponsors and support staff! 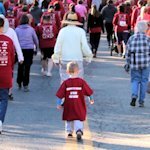 A special "Thank you" to our race participants! We hope everyone had a great time, as we did! 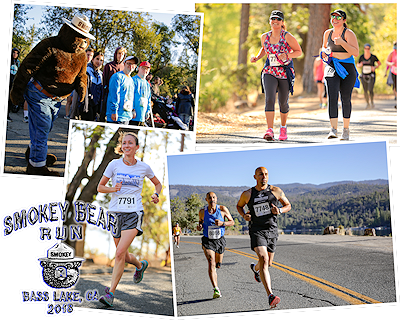 Bass Lake local J.K. Lundberg (36:49.1) and Maria Rodriguez (43:26.5) from Dinuba are winners of the 10K race at the Sept. 22nd Smokey Bear Run / Walk at Bass Lake. Rodriguez finished 12th overall from a field of 96 men and women in the 10k. 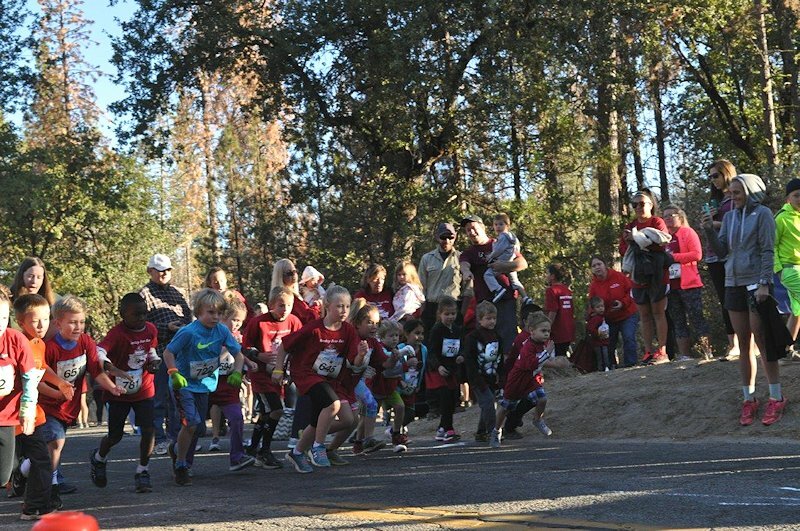 Locals dominated the 2-mile run. 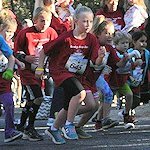 The men's 2-mile race was won by North Fork's 14-year-old Turner Williams (11:20) and women's 2 mile winner was Cianna Morgan (15:00.7), 12 years old, of Coarsegold. The 2-mile walk men's division was won by Fresno's Jim McCall (21:14.7) for the second year, and women’s winner was Joellyn Hamaguchi of Coarsegold (23:03.4) with the third fastest overall time. Both winners are from the 70+ years age group! 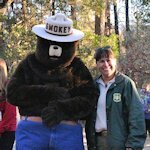 applying for a license from USFS. See USFS Website for details.